Getting the motivation to work-out is tough enough. Add to that the fact that we’re carrying those extra Christmas pounds, and that’s our Marina run canceled. So if you’re looking to switch up your work out routine this January, and have fun while you’re at it, you’ve come to the right place. Here are five unique fitness classes to try in Dubai this month. 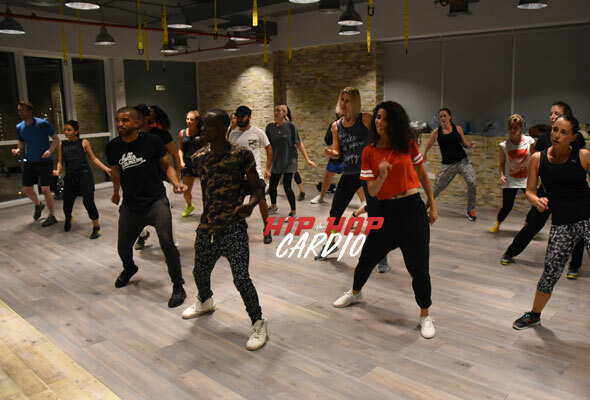 Expect gym vibes in a nightclub atmosphere, complete with a live Hip-Hop DJ while you learn to dance like a hip-hop pro and burn some serious calories at this fun dance class. It takes place twice a week in Business Bay’s exchange tower, with a third class every Saturday in Dubai Marina. It’s open for all abilities – so no worries if you’re a beginner. While cardio and pilates might not be two words you immediately put together, you will after trying out Cardiolates at Pilates Academy Dubai in JLT. The one-hour class, taken by pilates instructor and studio founder Cloe Sommadossi, is a sweat-busting session of pilates done on trampolines. It begins with a basic core warm up that prepares the muscles (and feet) for the workout ahead. It’s followed by a thirty minute, high-intensity class which combines the benefits of cardiovascular bouncing and the core strengthening of pilates. 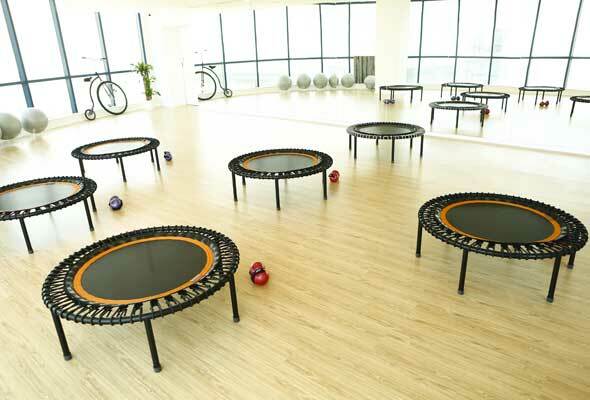 You’ll spend a lot of time trying to keep up with Chloe, and also a lot of time trying to master all the one-legged moves (trampolining on one-foot is not easy), but burning 400+ calories in a class, will have us bouncing back. 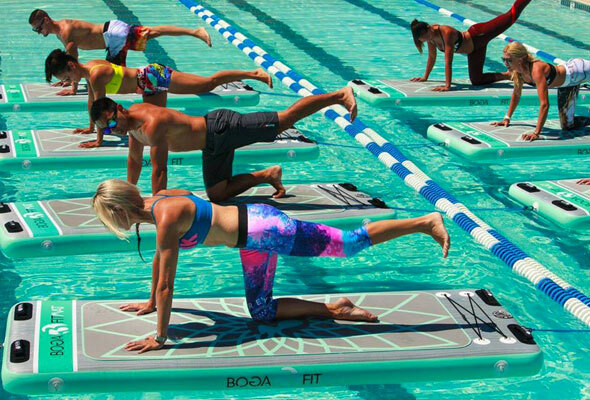 This forty minute HIIT workout takes place on water, and travels to some of Dubai’s top pools to do so. Open to men, women and children of all ages, expect to find yourself jumping, squating, lunging and lots of splashing as you navigate the high-intensity class over water. In Dubai, classes currently take place at The Westin Habtoor City and Intercontinental Dubai Marina. Swing yoga is a stretching, strengthening and flexibility-boosting class, where you use silk hammocks. Class starts off with some mat-based warm up moves, before hopping into the hammock. Some of the poses involve using the hammock as a prop – for example, stretching out your hamstrings by having one heel in the silk and the other planted on the floor. As you build your confidence, you can even get into some backbends and inversions. What is Kangoo jumps you ask? Well, modeled on kangaroo movements, kangoo jumps are done on specialist shoes which generate a trampoline-like feeling of weightlessness. As well as burning up to 1000 calories per hour, the classes reduce joint stress, increase endurance and strength and improve posture and coordination. Don’t expect to be a pro from the start, this is one that takes time to get the hang of, and you’ll spend a good portion of the class in fits of laughter.